Every American president is known as the “Commander-in-Chief.” While the presidency is a civilian position, most U.S. presidents have a military background. Out of 45 presidents, 31 were in the military, and many served during wartime. The following lists the presidents who were veterans, along with their ranks, years in the service, and any wars in which they served. Most U.S. presidents have a military background. Served during the French and Indian War and the American Revolution. 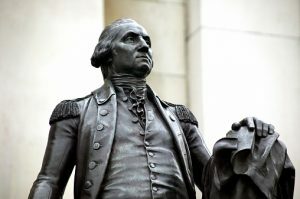 At the time of his death, President Washington was still a member of the army. Served during the American Revolution. Served during the American Revolution, the War of 1812, the Creek War and the First Seminole War. Served during the Northwest Indian War and the War of 1812. Presidents Andrew Jackson and Henry Harrison are considered to be two major heroes of the War of 1812. Served during the War of 1812, the Black Hawk War, the Second Seminole War and the Mexican-American War. Served during the American Civil War. Served during the Mexican-American War. Served in the Black Hawk War. Served in the American Civil War. Served in the Mexican-American War and the American Civil War. Served during the Spanish-American War and is the only United States President to receive the Medal of Honor, the most prestigious personal U.S. military decoration. Served in the National Guard and also in combat during World War I. While President Eisenhower also served during World War I, President Truman was the only president to fight during the war. Served in World War I and World War II. Served in World War II and was awarded a Purple Heart and a Navy and Marine Corps Medal. Served during World War II and was awarded a Silver Star by General Douglas MacArthur. Served during World War II. He was honored with a Navy and Marine Corps Commendation Medal and two service stars. Served during World War II, in combat on the USS Monterey. Served during World War II and the Korean War. Served as a pilot during the Vietnam War.